Feeling stuck on Trafalgar Campus with nothing to do in your spare time? Don’t despair. From Sheridan’s International Student Association, to participating in sports events such as Women’s Basketball and attending the Musical Theatre students’ performances, there is plenty to do on and off campus. Many students do not travel farther than Oakville Place or Lake Ontario because they don’t know what to do in Oakville. Little do they know, the Oakville Tourism Partnership and Kerr Village publish detailed schedules of events frequently on their websites including performances, festivals, and contests. Special events coordinator with the Oakville Tourism Partnership, Brittany Goettler, said they try to have a large event each month, with several smaller events revolving around private businesses. She listed Midnight Madness in July, Oakville’s Jazz Festival in August, Kerr Fest in Autumn, and Canada Day in Bronte as Oakville’s biggest events throughout the year. Facebook can even be a great way to find events if you know where to look. Simply type “Oakville” or your city into the search bar on Facebook, then hit “show all results” and choose “events.” These listings will be based on your browser’s cache and your friends list. Jay Hernandez is a Computer Programming student at Sheridan who used to go out a lot in his first year, but doesn’t have much spare time this year. 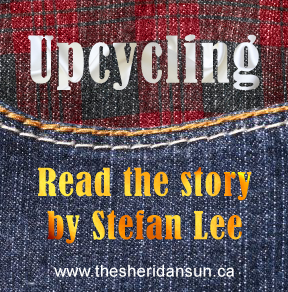 He used to enjoy Sheridan’s pub nights, a $20 trip to Canada’s Wonderland, and the Sheridan busses to sports games. Hernandez said Oakville is a nice place to live, but there’s not much for young people to do in town. “Sheridan brings a bit to the table, but not as much as it could,” he said, and expanded by saying Sheridan’s programs could work with the Town of Oakville to showcase their programs’ talents and organize events together. Most students commute to Trafalgar Campus and Hernandez believes many of them go to events in Toronto or Mississauga. Jessica Daneluk is from the small community of Port Elgin, and is still adjusting to Oakville’s larger population. She has gone to the Sheridan Oscars, one event with film.ca, and wants to attend more events, but does not know where to find information about them. Daneluk suggested the Student Union hosts more free events around Sheridan, such as movie nights or other low-cost gatherings. She said students can’t afford to go out often and suggested the Student Union create package deals, allowing students to go to multiple events for a reduced cost. Drafted Sports Bar opened earlier this year and Shakers Smokehouse is undergoing changes to leave the bar scene behind and become a restaurant. Both venues have been recruiting bands from Sheridan, and both are very open to the Sheridan community, according to their owners Michael Poplawski and Tony Coelho. The Encore Oakville Mews Cinema, recently bought by film.ca is a small movie theatre in downtown Oakville. With $5 Tuesdays and $7 for students compared to SilverCity ‘s $12.25 tickets at Wyecroft Road, it is the cheapest and closest movie theatre for students living on campus. It is rarely sold out and tickets as well as concessions can be purchased there. Added by Samantha on March 24, 2015.